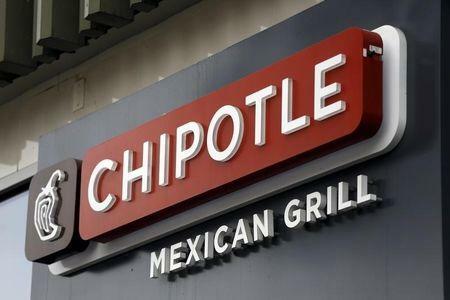 (Reuters) - Chipotle Mexican Grill Inc's new GMO-free menu claims have lured diners and boosted the burrito chain's stock price, but it has some consumers crying foul. "As Chipotle told consumers it was 'G-M-Over it,' the opposite was true," the Piedmont, California resident said. "In fact, Chipotle's menu as never been at any time free of GMOs." Chipotle's website carries disclaimers about the GMO content in its food. Gallagher contended that most Chipotle diners are unlikely to see these disclaimers, and will rely instead on the company’s advertising. A woman named Colleen Gallagher, represented by the same law firm, is also a plaintiff in a 2014 lawsuit in the same court alleging that Bayer AG's claims about the health benefits of its One A Day multivitamins misled consumers. On Aug. 18, U.S. District Judge William Orrick denied Bayer’s motion to dismiss that lawsuit.